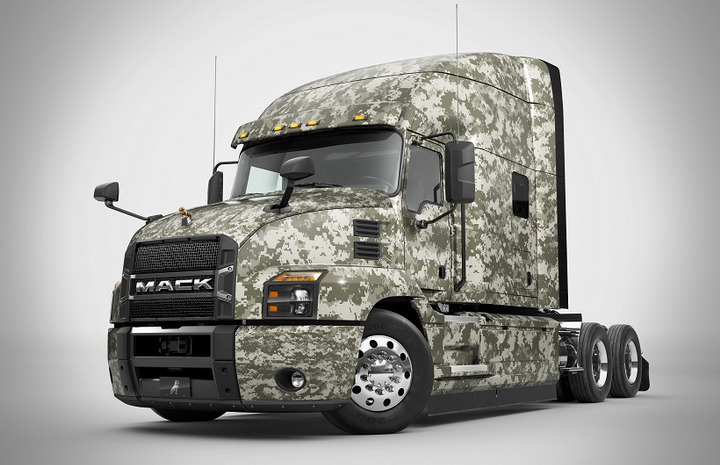 Mack Donates Anthem Truck to the American Trucking Association (ATA) to assist in their veteran recruitment efforts. The cab, wrapped top to bottom in camouflage, attracts veterans to look at careers in the trucking industry. In addition, recruiting events at military bases, schools, and career fairs feature the truck. Recently, in a press release, ATA President and CEO Chris Spear spoke on behalf of Mack’s latest donation. In addition, the Mack Anthem offers excellent safety features and incredible comfort, making it the ideal cab for any driver. Also, “It’s equipped with a Mack MP®8HE-415SE engine with 415 horsepower and 1,660 lb.-ft. of torque and Mack mDRIVE™ automated manual transmission.” Therefore, drivers focus on the road ahead instead of constantly shifting gears. 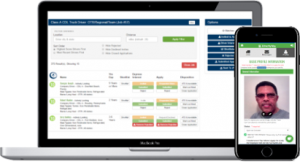 Also, along with efforts throughout the trucking industry, studies show that vets assist in solving the driver shortage.